News about Eurorun - freshproject-euroruns Webseite! 10.-21. 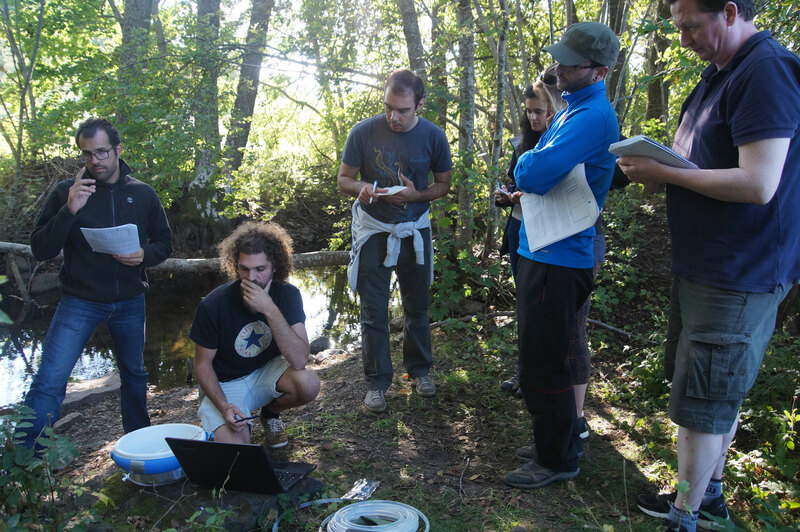 July 2017 - The fourth and final EuroRun campaign measuring CO2 fluxes in summer is currently running. This is the last sampling campaign of EuroRun and then it is time to work on the data. 07. June 2017 - EuroRun is presented at a Mini-Symposium for Early Career Researchers in Uppsala by Katrin Attermeyer with a poster. 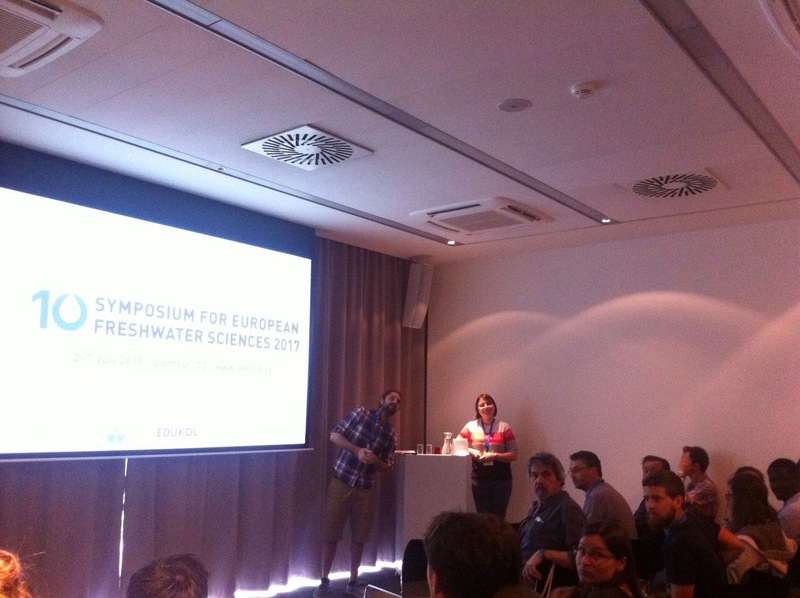 The Mini-Symposium was meant to bring early career researcher together who work with water in Uppsala. 03.-14. April 2017 - The third EuroRun campaign measuring CO2 fluxes in spring is currently running. 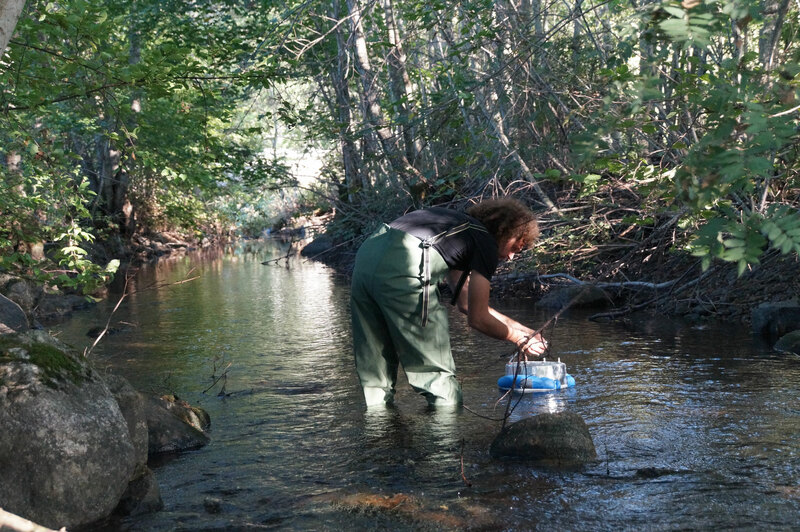 All streams are ice-free again and the teams are very motivated to go out and measure the CO2 fluxes. 23. March 2017 - Peter Gilbert presents the EuroRun Project at the Flow Country Conference IV in Thurso, Scotland. Pete says that "the presentation generated a lot of interest. There was not enough time to answer all the questions and EuroRun was discussed further over a coffee during the next break." 09.-20. January 2017 - The second EuroRun campaign is running now and the cold season in Europe gives some teams a tough sampling and some teams no work at all. Streams in Sweden, Czech Republic, Bulgaria and Austria are completely frozen and do not allow for sampling. 16. December 2016 - The first campaign is succesfully finished and the data collected and analyzed. First conclusions are possible and an abstract was submitted today to participate in the SEFS conference in July 2017 in Olomouc. 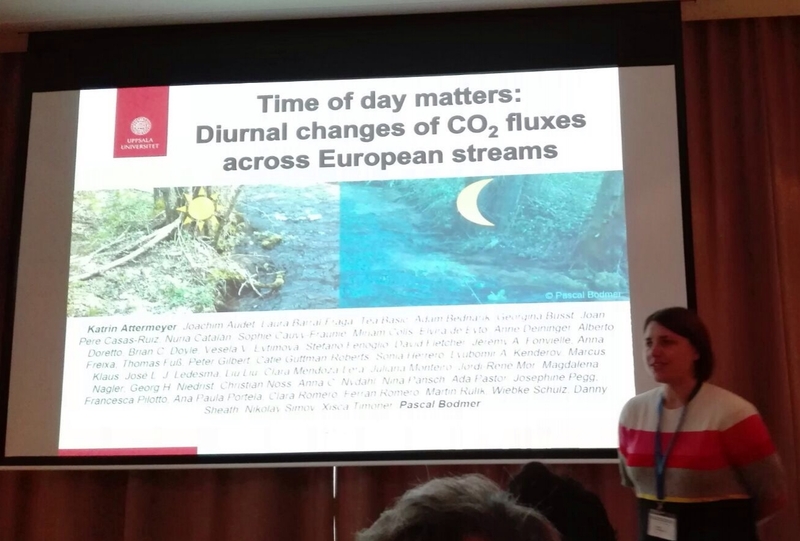 The abstract has 47 authors and the title is "Time of day matters - Diurnal changes of CO2 fluxes across European streams". 03.-14. 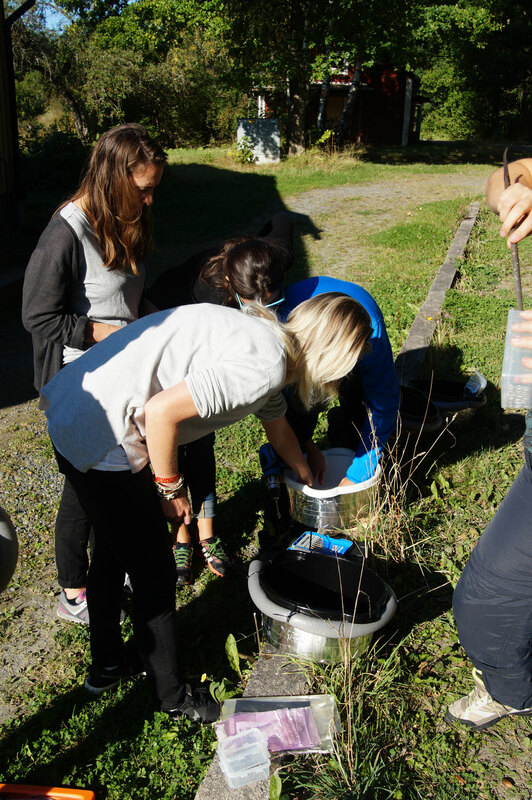 October 2016 - The first EuroRun sampling campaign is running now and the teams are collecting CO2 flux data all over Europe. We are looking forward to report first results soon. 26.-30. 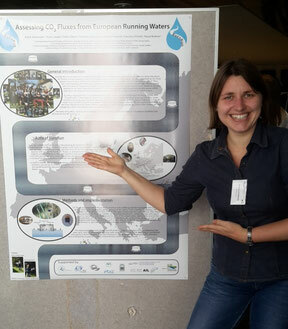 September 2016 - Katrin presented a poster of the EuroRun Project at the joint conference of the Austrian and German limnological societies in Vienna, Austria. 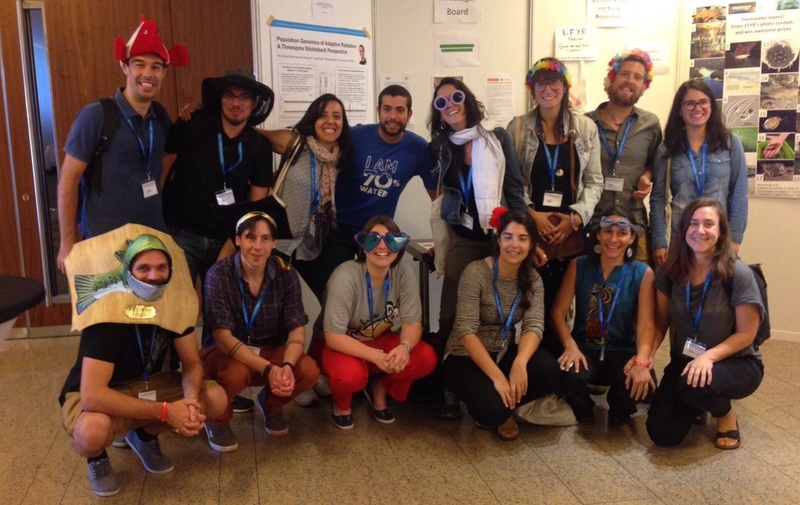 There was a lot of positive feedback for the Project and we got the opportunity to talk about the initiative to support early career scientists and the project EuroRun itself. 13.-15. 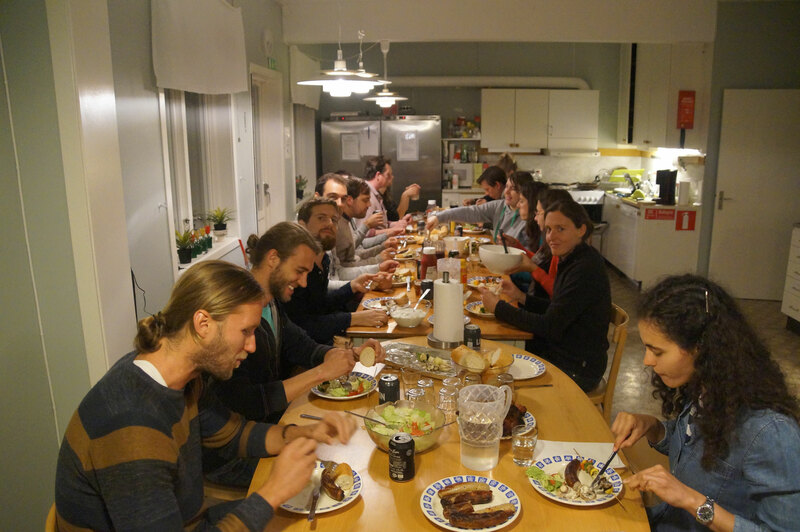 September 2016 - The EuroRun workshop took place at Lake Erken in Sweden gathering 17 early career researchers from all over Europe. 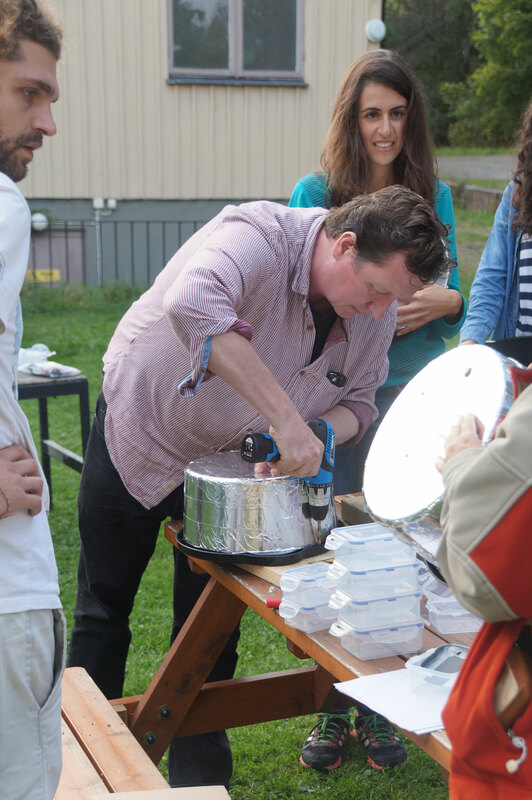 In a friendly and relaxed atmosphere, all flux chambers were built and the field work procedure was demonstrated. Beside the scientific related work, we found a lot of time to get to know each other and built new friendships. 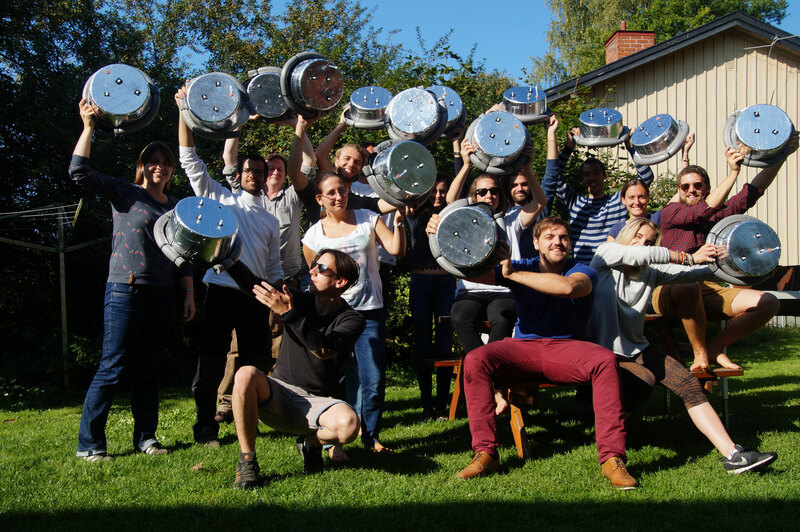 We are ready for the first field campaign in October and the EuroRun samplings can start! 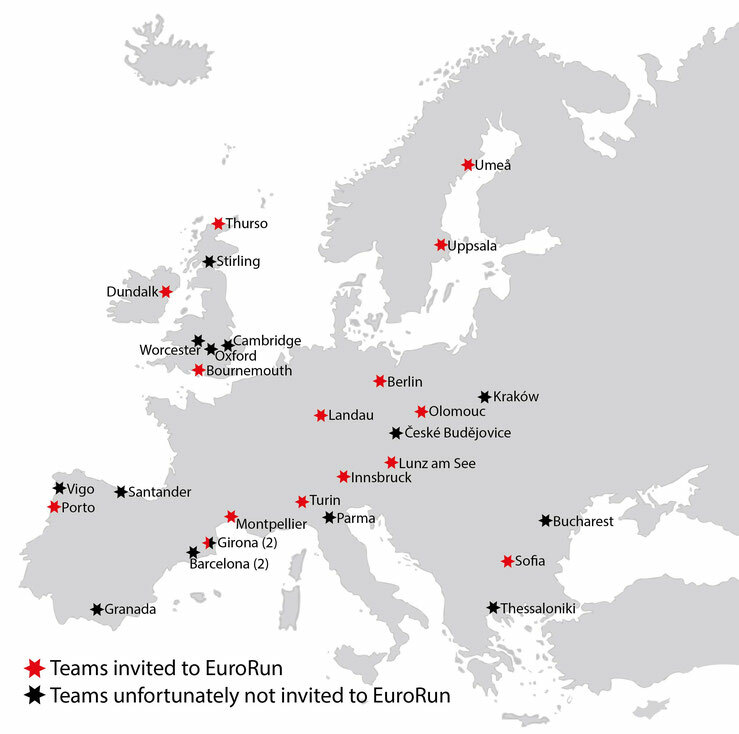 Mid June 2016 - We are happy to announce that we have 16 teams participating in EuroRun including the teams already introduced on this webpage. Unfortunately, we also had to reject some teams due to budget restrictions. We would like to thank all applicants for their interest in EuroRun and are looking forward to working with so many different people all over Europe. Below you can find a map with all participants that we invited to particpate in EuroRun and the ones that we could not invite. 01. June 2016 - The deadline is reached and we are proud to announce that we received 24 applications for EuroRun. Unfortunately, we cannot invite all applicants and we are currently selecting the teams we can invite to participate in EuroRun. Please be patient and give us some time to make our budget calculations and select the teams according to the money we have and the places the teams come from. 28. April 2016 - The application phase starts now. 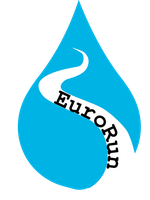 Please go to http://www.freshwatersciences.eu/effs/index.asp?page=NEWS&Id=6&IdItem=208&p=#Content and register for EuroRun! 21./22. 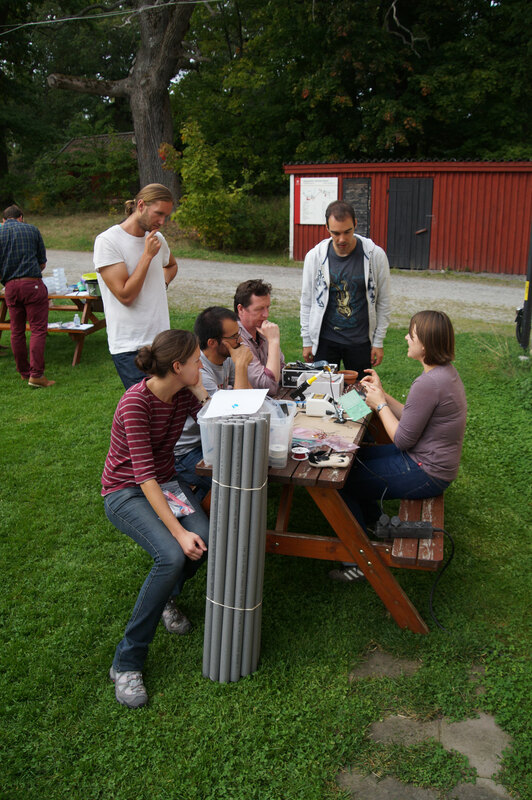 April 2016 - Katrin and Pascal traveled to Linköping University to learn how to build the sensors for the CO2 measurements. 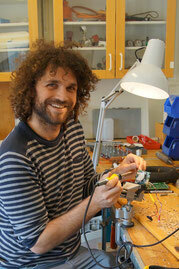 Here you can see Pascal soldering the battery and communication cable onto the CO2 sensor. 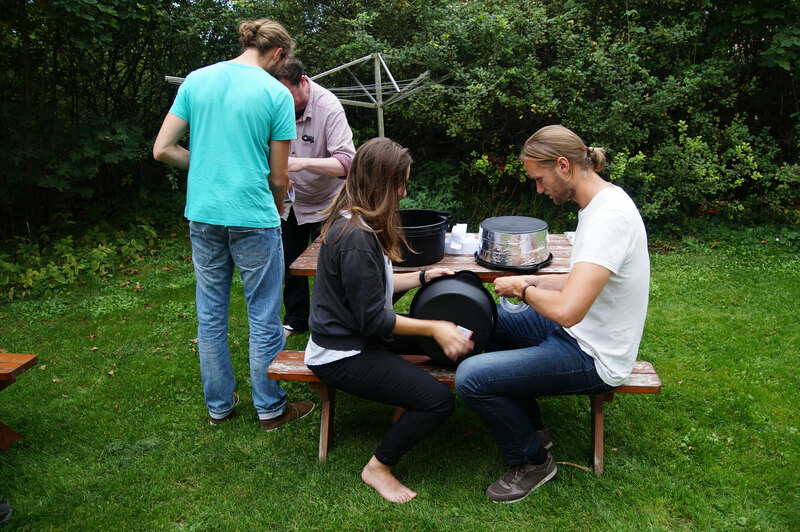 Many thanks to Ingrid Sundgren and Thanh Duc Nguyen who introduced us to the secrets of soldering and shrinking tubes. April 2016 - The team is complete (please take a look at the link "The team" for a complete list) and the grant agreement now signed. We are looking forward to get into action soon.